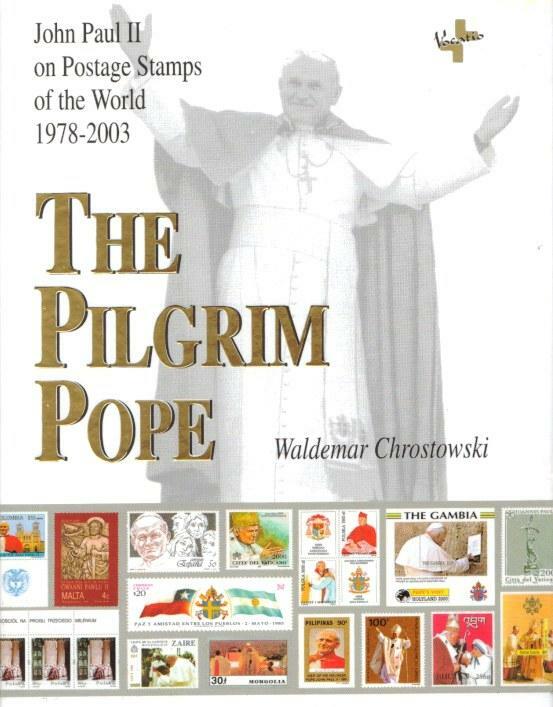 THE PILGRIM POPE: JOHN PAUL II ON POSTAGE STAMPS OF THE WORLD (1978-2003) by Waldemar Chrostowski. Impressive catalog of world stamps featuring Pope John Paul II. The first 200 pages catalogs and describes the stamps, souvenir sheets and other philatelic issues from 134 countries honoring John Paul II during the first 25 years of his papacy. The next 400 pages faithfully illustrates in full color all of the issues, sheets, stamps in series etc. of 1,300 issues. English translation of an original Polish work. 595-page hardcover, new condition. Was $45.00. Now $35.00.